Henry Wolfe Gummer (born November 13, 1979),  known professionally as Henry Wolfe, is an American songwriter, musician, singer, and actor based in Los Angeles, California. Henry Wolfe is the son of actress Meryl Streep and sculptor Don Gummer. He grew up in Los Angeles and Connecticut, with his younger sisters, actress Grace Gummer, actress Mamie Gummer and model Louisa Gummer. Mary Louise "Meryl" Streep is an American actress. Often described as the "best actress of her generation", Streep is particularly known for her versatility and accent adaptation. Nominated for a record 21 Academy Awards, she has won three. Streep has received 31 Golden Globe nominations, winning eight - more nominations, and wins, than any other actor. She has also won three Primetime Emmy Awards and has been nominated for fifteen British Academy Film Awards, and seventeen Screen Actors Guild Awards, winning two each. Wolfe first made his mark as a musician as co-founder of the New York indie pop band Bravo Silva. Bravo Silva released an EP entitled 'July' in 2004 and an eponymous full length album in 2005. Indie pop is a music genre and subculture that combines guitar pop with DIY ethic in opposition to the style and tone of mainstream pop music. It originated from British post-punk in the late 1970s and subsequently generated a thriving fanzine, label, and club and gig circuit. Compared to its counterpart, indie rock, the genre is more melodic, less abrasive, and relatively angst-free. In later years, the definition of indie pop has bifurcated to also mean bands from unrelated DIY scenes/movements with pop leanings. Subgenres include chamber pop and twee pop. Dawes is an American folk rock band from Los Angeles, California. Dawes is composed of brothers Taylor and Griffin Goldsmith (drums), along with Wylie Gelber (bass) and Lee Pardini (keyboards). Ariel Marcus Rosenberg, also known as Ariel Pink, is an American multi-instrumentalist, singer, and songwriter whose music draws heavily from 1970s–1980s pop radio and cassette culture. His lo-fi aesthetic and home-recorded albums proved influential to many indie artists in the late 2000s, and he is frequently cited as "godfather" of the hypnagogic pop and chillwave movements. The majority of his recorded output stems from a prolific eight-year period in which he accumulated over 200 cassette tapes of material. Wolfe's songs have been licensed in major motion pictures with "Someone Else" being featured in the film Terri directed by Azazel Jacobs and starring John C. Reilly,  and an early version of "Stop the Train" appearing in Julie and Julia . Azazel Jacobs directed the music video for "Someone Else" which starred Brit Marling. Ryland Peter "Ry" Cooder is an American musician, songwriter, film score composer, and record producer. He is a multi-instrumentalist but is best known for his slide guitar work, his interest in roots music from the United States, and his collaborations with traditional musicians from many countries. Antoine Roundtree, better known by his stage name Skee-Lo, is an American rapper. He is best known for his 1995 song, "I Wish", which became a hit in several countries and reached No. 13 on the Billboard Hot 100. He is considered to have been a one-hit wonder. James Cregan is an English rock guitarist and bassist, best known for his associations with Family, Steve Harley & Cockney Rebel and Rod Stewart. Cregan is a former husband of the singer Linda Lewis and worked with her as a record producer. He has also worked with London Quireboys, Glass Tiger, Katie Melua and formed Farm Dogs with Bernie Taupin. Ken Jacobs is an American experimental filmmaker. He is the director of Tom, Tom, the Piper's Son, which was admitted to the National Film Registry in 2007. His Star Spangled to Death is a nearly seven-hour film consisting largely of found footage. Ralph Farris is an American violist, violinist, composer, arranger, producer and conductor, best known as a founding member and artistic director of the ensemble ETHEL. Farris is an electric string player with a lengthy career that spans the gamut of musical genres from rock and jazz to Broadway. His instruments are outfitted with a piezoelectric pickup which allows him to play amplified. Amplification was initially adopted early in Farris's career in order to facilitate the playing of various "contemporary classical" pieces that involve electronic components. It continues to be integral to his signature sound. Ken Christianson is an American musician and artist living in Los Angeles, California, U.S, and co-founder of Père Music. He is the composer of the score to the short film Better Left Alone (2005), resident composer for the Samantha Giron Dance Project, bass player for the Los Angeles funk-jam band The Three Trees, violinist for The Jimmy Lifton Group, and former keyboard player for the indie rock band, Rogue Wave. Jaclyn Tohn is an American actress and musician. She is best known for playing Melanie "MelRose" Rosen on the Netflix series GLOW, and for taking part in American Idol season 8, making it to Top 36. She also took part in the 2011 songwriting competition series Platinum Hit on the Bravo network. Don Cummings is an American playwright of more than fifteen plays, a screenwriter, fiction writer, essayist, actor, and composer. He has acted in over forty plays and independent features and was a recurring guest star on the sitcom, Dharma & Greg. His critically acclaimed plays have been produced on both coasts: A Good Smoke, The Fat of the Land, American Air, What Do Men Live By?, Stark Raving Mad, The Winner, Feed the Children!, Solid Joints and Piss Play is About Minorities So It's Really Important. He has been published in many literary journals. His Memoir, Bent But Not Broken, releases March 15, 2019 by Heliotrope Books. An Excerpt of Bent But Not Broken was published in Epiphany Literary Journal, Issue # 25. Kenneth Michael "Kenny" Edwards was an American singer, songwriter, bassist, guitarist, mandolinist, and session musician. He was a founding member of the Stone Poneys and Bryndle and a long-time collaborator with Linda Ronstadt and Karla Bonoff. Grace Jane Gummer is an American actress. She received a Theatre World Award for her Broadway debut in the 2011 revival of Arcadia. Her television work includes recurring roles in The Newsroom and American Horror Story: Freak Show, and regular roles in Extant and Mr. Robot. Terri is a 2011 American comedy-drama film directed by Azazel Jacobs and starring Jacob Wysocki, Creed Bratton, and John C. Reilly. The film is about the friendship that develops between an oversized teen misfit and the garrulous but well-meaning school principal who takes an interest in him. Filming took place in Los Angeles, California. Bobby Kimmel is an American musician and songwriter who currently performs with the acoustic folk group, I Hear Voices. He has been recording and performing in concert for over 50 years and was a founding member of the Stone Poneys, along with Linda Ronstadt and the late Kenny Edwards. 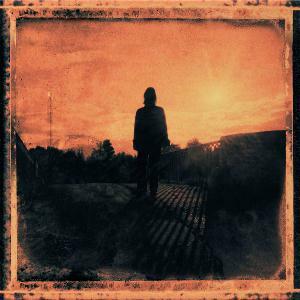 Grace for Drowning is the second solo studio album by Steven Wilson, producer, songwriter, and frontman of Porcupine Tree. It was released by Kscope on 26 September 2011. The album received a nomination at the 54th Annual Grammy Awards for Best Surround Sound Album. Azazel Jacobs is an American film director and screenwriter, and the son of experimental filmmaker Ken Jacobs. He attended Manhattan’s Bayard Rustin High School. His short films include Kirk and Kerry and Message Machine, and his features include the acclaimed Momma's Man and Terri. Michael Wolfe is an American actor, writer, producer and director, best known for his work on the independent film Maybe Tomorrow. Noah Flynn Kaplan, known professionally as Noah K, is an American composer, saxophonist, and record producer. Shneur Hasofer is a Hasidic musician known as DeScribe. Hasofer's musical style has been characterized as "Hasidic hip-hop," "Hasidic rap" and "Hasidic R&B". ↑ "Henry Wolfe". M Music & Musicians . Archived from the original on December 15, 2013. Retrieved April 18, 2017. ↑ Osterhout, Jacob. "Almost famous: His mom may be an icon, but musician Henry Wolfe is making a name of his own". NY Daily News. ↑ "Graduation List 2002". TheDartmouth.com. 2002-06-09. Retrieved 2012-09-12. ↑ Osterhout, Jacob E. (2011-05-15). "Almost famous: His mom may be an icon, but musician Henry Wolfe is making a name of his own". Daily News . New York. p. 2. Retrieved 2012-09-12. ↑ "Bio". Henry Wolfe. Archived from the original on 2012-10-18. Retrieved 2012-09-12. ↑ "Henry Wolfe: Linda Vista". American Songwriter. 2011-04-05. Retrieved 2012-09-12. ↑ J. Edward Keyes (2011-06-29). "Linda Vista | Album Reviews". Rolling Stone. Retrieved 2012-09-12. ↑ 'Rebel' Rod (2011-01-13). "'Rebel' Rod's - From Under The Basement: 'Rebel' Rod's Ramblings, Reviews, & Revelations - McCartney, Nilsson help guide Henry Wolfe's journey to 'Linda Vista'". Fromunderthebasement.blogspot.com. Retrieved 2012-09-12. ↑ "DVR Alert: Henry Wolfe On Jimmy Kimmel Live Tonight". Music Snobbery. 2011-03-02. Archived from the original on 2011-03-08. Retrieved 2012-09-12. ↑ "In Studio: Henry Wolfe - Soundcheck". Wnyc.org. Archived from the original on 2011-08-12. Retrieved 2012-09-12. ↑ "The 2011 Movie Soundtrack: The Best Songs From This Year's Films «". Recordinglivefromsomewhere.com. Archived from the original on 2012-08-31. Retrieved 2012-09-12.